Some you may know, some you may not and some you may have forgotten. If you need to change the visible state of a part in an assembly. Select the part in the browser (Fig. 1). Pressing Alt-T turns the part transparent (Fig. 2). In (Fig. 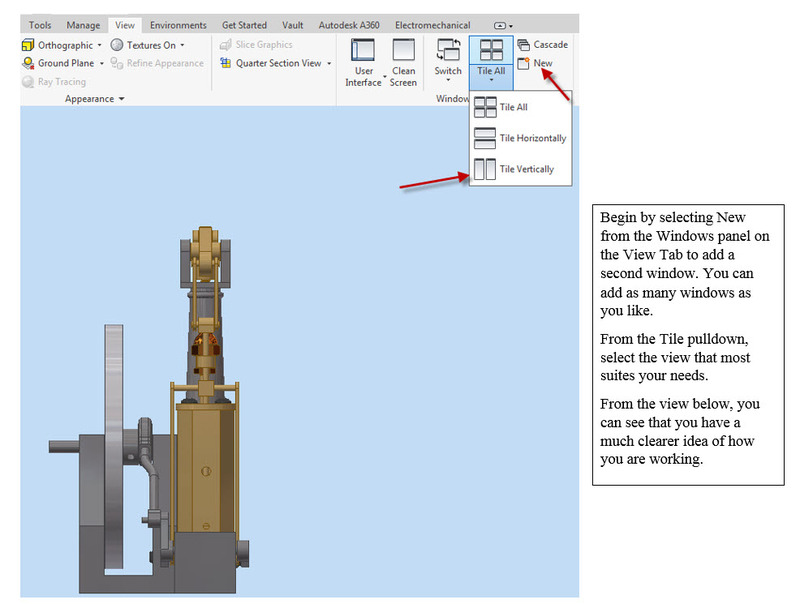 3) turn the part visibility off by selecting Alt-V. To reverse the process, select the part and press Alt-T or V to reverse the view state. You can always right click on the part and select the visibility or transparent option from the context menu. Many people like the option of using hotkeys as they work. I have memorized a few that I use often and it does help to speed up the work. **NOTE: I have attached the “Inventor Shortcut Key Guide.pdf”. It is a little overwhelming but I’m sure that you can find a few useful shortcuts to help you work faster. To select an Aligned dimension without right clicking for the context menu. Start the dimension command “D”. Select a slanted line to dimension and instead of right clicking simply go back and select the slanted line a second time and the align dimension will be selected. You can access your A360 files right from the Open File window. Sometimes your browser gets very congested, especially if you have a good deal of nuts, bolts, and washers as shown below left. A nice solution is to add a folder in the browser and move all similar components to it to help keep the browser a little less congested. Use Multiple Windows to help with Editing, Placement or any number of operations.